We’re a week of away from the most loving day of the year. The boys will buzz to the flower shop and swoon their lady with scented beauties, a candle-lit dinner, or a heart full of chocolates. The girls will have an extra excuse to wear their favorite shade of pink and brag about how precious their bae is. If you’re in a relationship, there is a bit of an expectation for the 14th. If you’re not in a relationship, there is a different kind of expectation… most involving a girls night-in, drooling over Ryan Gosling, Harry Styles, and Liam Helmsworth (Me me! Yummmm), all while popping bottle after bottle of $10 pink-label champagne. Am I right? 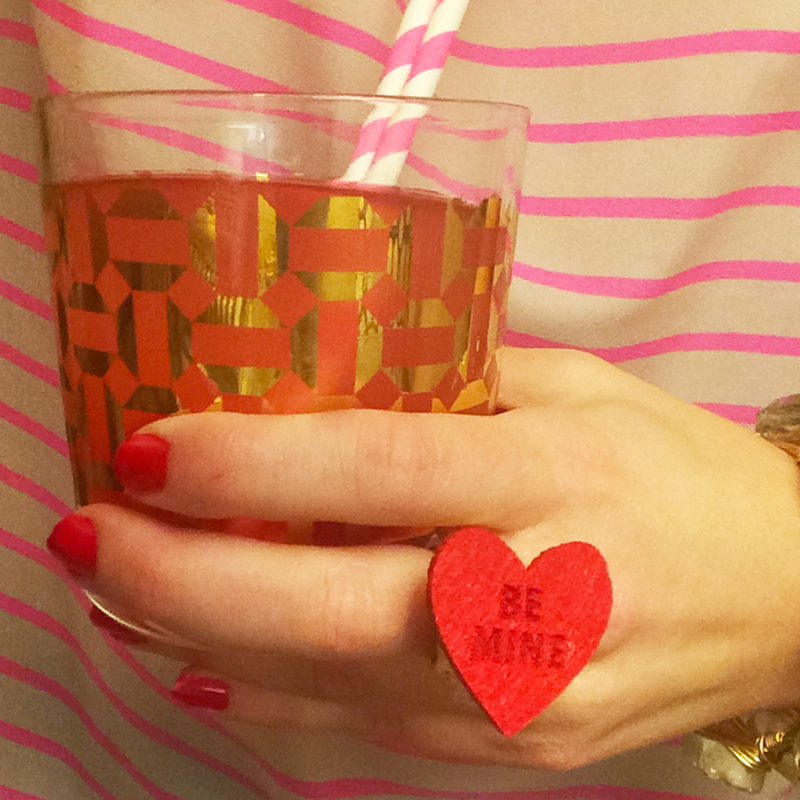 Well cheer up buttercup, Valentine’s Day doesn’t have to be such a drag. 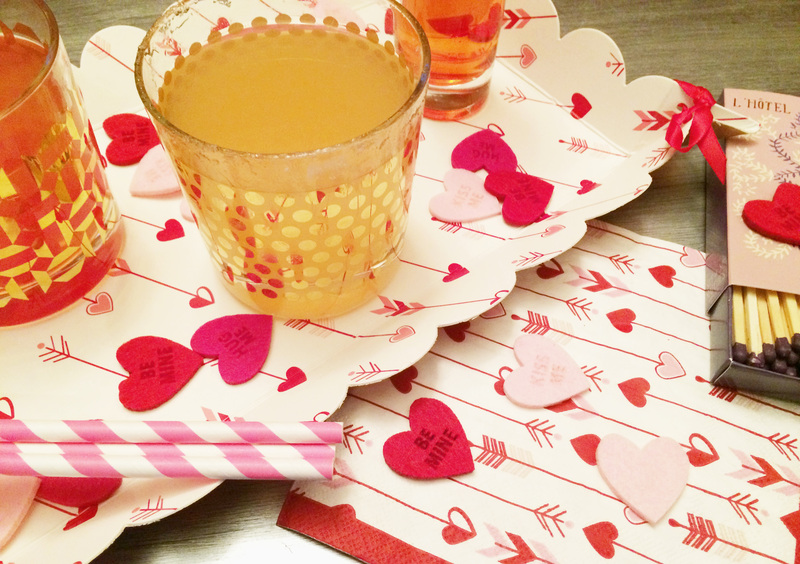 There is plenty of love to go around (#talkprettytome), and if you’re lucky, that love is coated in a festive cocktail and scalloped Valentine decor (from Michael’s craft store at 40% off – a steal!). Here you go, girls. 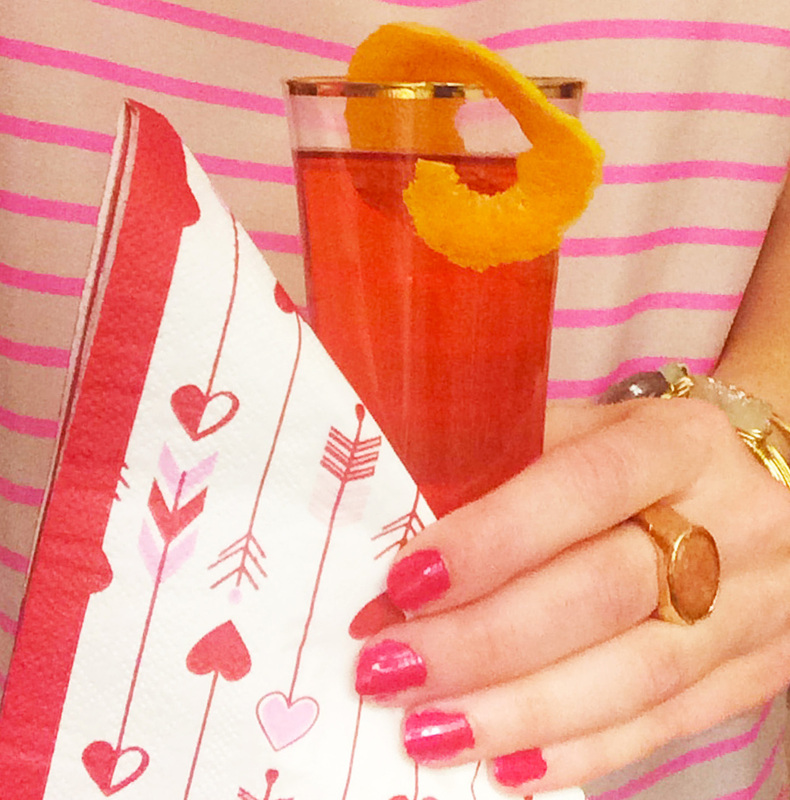 My favorite Valentine’s Day (or any day, really) cocktails for date night or a girls night-in. Choose your fancy. Make a large pitcher for multiple guests, or mix one on your own! Shake with ice and strain into chilled cocktail glass. Ganish with cherry. Serve in a martini glass (or a rocks glass if you don’t have a martini glass on hand). *Simple Syrup Recipe: mix 1 part water and 1 part sugar (i.e. 1 cup of both) in a small saucepan. Bring to a boil. Your mixture will be grainy at first, then cloudy. Your simple syrup is ready when the concoction is completely clear. Rim old-fashioned glass with lime and salt. Fill with ice. Shake remaining ingredients with ice. Strain into glass. Shake vodka and Campari with ice. Strain into chilled champagne flute and top with Champagne. Add orange twist. Recipes are from my favorite bartending book, Mr. Boston Official Bartender’s Guide, the 75th Anniversary Edition. Find it at Barnes and Noble for just $15. It has every cocktail recipe you need to know, along with side notes with substitutions and preparation advice.